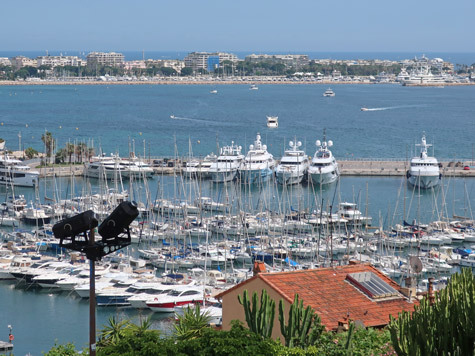 Visitors to Cannes enjoy taking a stroll by the yacht marina to admire the beautiful sailboats and yachts. Many wealthy Europeans maintain a boat in Cannes and fly to this Mediterranean town for rest and relaxation. The best place to view the luxury yachts is from Quai St. Pierre.